A friend told us about African keyhole gardens. We looked it up on the internet and we build one ourselves! 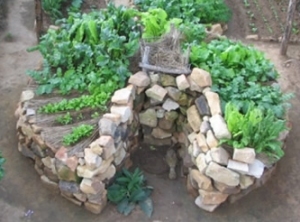 A keyhole garden is a nice and easy way to grow vegetables in a small space. You don't have to buy anything, it looks good and it produces more crop than a normal garden bed. It is a round, raised bed with an entrance so it looks like a keyhole. The bed is just as big as your arm can reach. 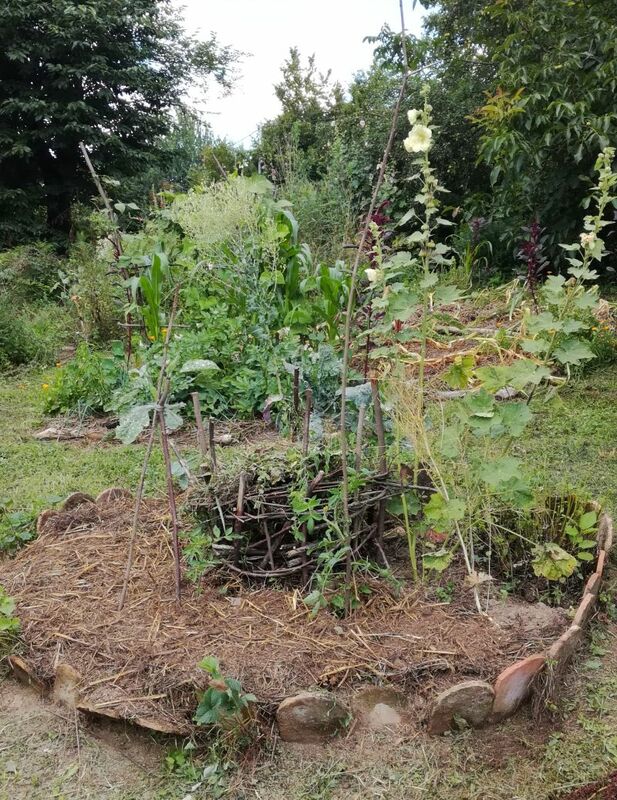 In the middle there is a basket with compost, wood ash, manure and straw. When you put water on this basket, the rich fluid spreads around the garden. 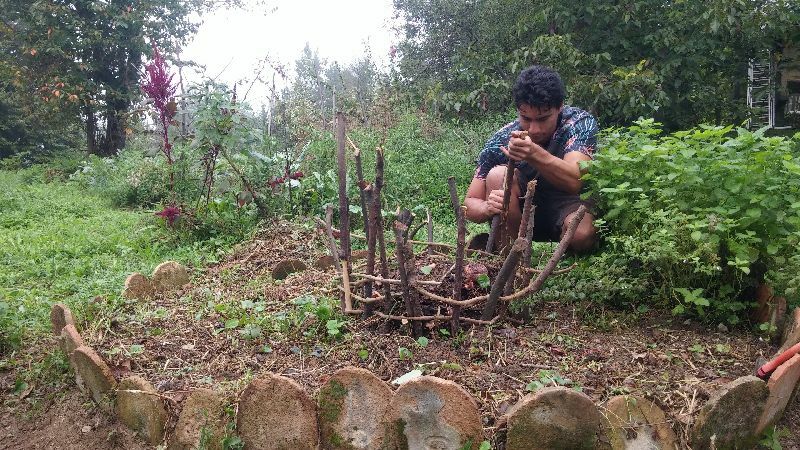 Download the document "How to make a keyhole garden" (source: cowfiles.com) and make one yourself!